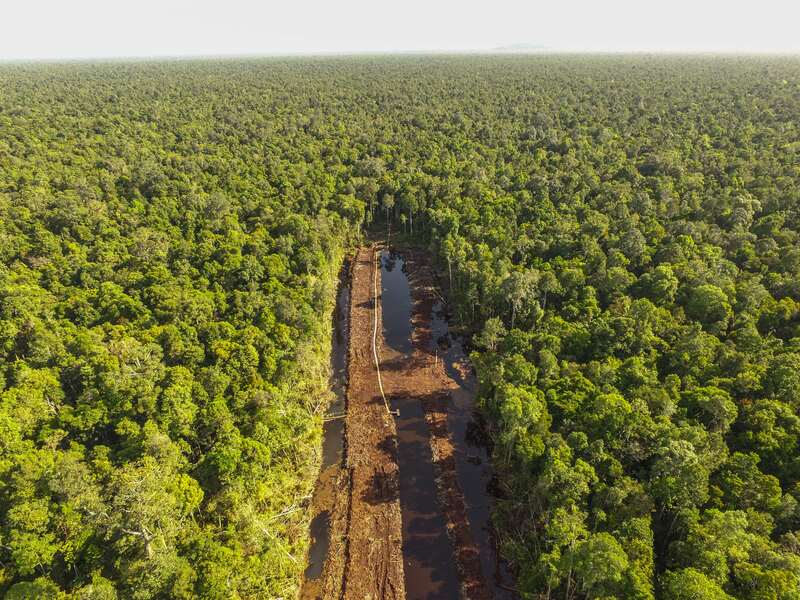 Washington, D.C. – A new Greenpeace International investigation reveals a major illegal logging operation in a critical orangutan landscape in West Kalimantan, in Indonesian Borneo – despite efforts by the Indonesian government to protect it . The logging takes place under cover of darkness, even in locations where orangutan nests are found. It ends just before dawn, when trucks emerge to transport the woodpiles to sawmills and furniture shops in Ketapang. It is unclear whether the logging is being carried out by MPK, or by third parties taking advantage of roads the company has built. Despite this, MPK continued to develop the concession, constructing several drainage canals through the peat. 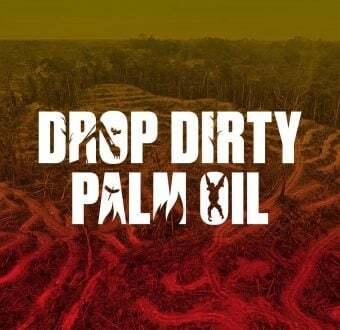 In 2017, Greenpeace Indonesia raised this with the Minister of Environment and Forestry. The Minister instructed the company to stop its operations and fill in the canal. It has yet to do so, and heavy machinery remains in place. Protecting Sungai Putri forest is essential if Bornean orangutans are to survive. Scientists estimate that the population of Bornean orangutans has halved in the last 16 years. According to recent analysis by the Centre for Conservation of Natural Resources (BKSDA)  Sungai Putri is home to 950-1200 orangutans. Some 84 percent of this landscape is covered by peatland. “Habitat destruction forces orangutans to enter neighbouring plantations and farms looking for food, and this frequently leads to conflict with humans. That’s why last year we had to rescue a male orangutan in the south part of MPK’s concession. Sungai Putri is home to one of the largest populations in the world and we are at a critical point for the Bornean orangutan, without forests like this they can’t survive,” said Karmele Llano Sanchez, Program Director of IAR in Indonesia. “Sungai Putri is one of the last refuges of the orangutans and the survival of the species relies on creating wildlife havens and protecting the existing ones. It is time for the Indonesian government to ensure the full protection of Sungai Putri, its environment and wildlife,” added Kusumohartono.